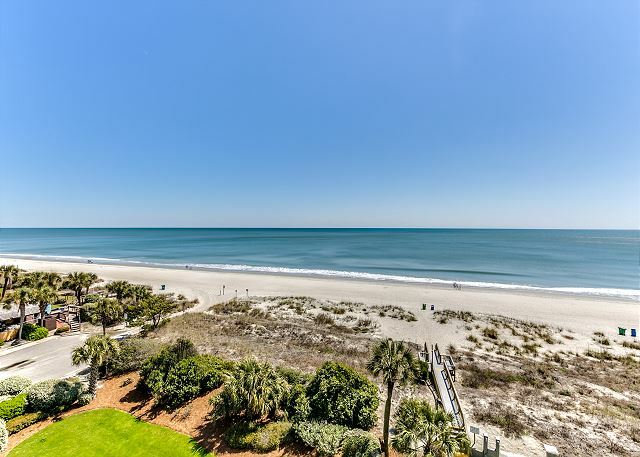 Enjoy beautiful views of the ocean from the oversized balcony of this updated 2 bedroom 2 bathroom condo! 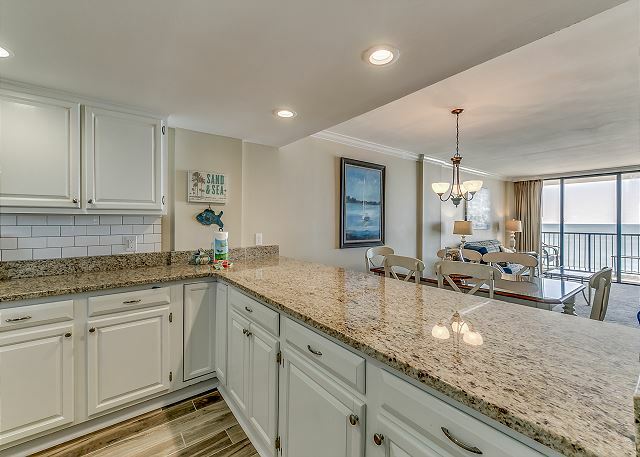 You will feel right at home with granite countertops in its large open kitchen, flat screen TVs, full sized washer and dryer, spacious living room and a private balcony giving plenty of room for you and your guests to enjoy your Myrtle Beach vacation. 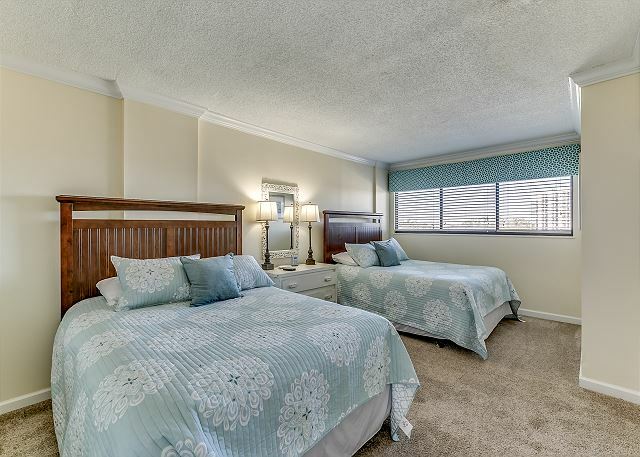 This two bedroom condo has a king bed in the master along with full bath, second bedroom offers two queens, and the living room provides a sleeper sofa. Our first time using renting and it won't be our last! We booked last minute but check-in was still very easy. 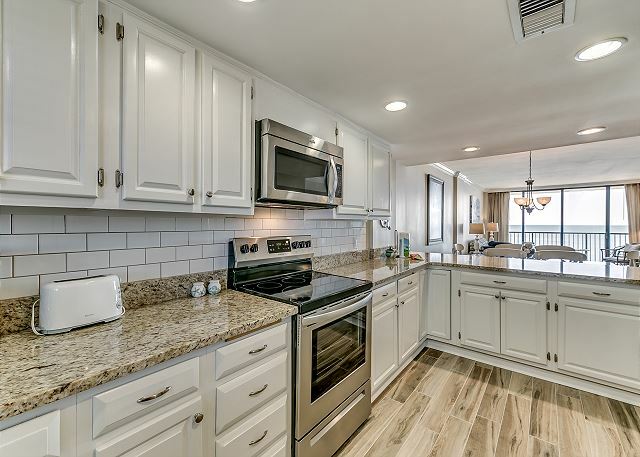 The unit is very clean, spacious, and inviting. We had the most wonderful time in Myrtle Beach last week. 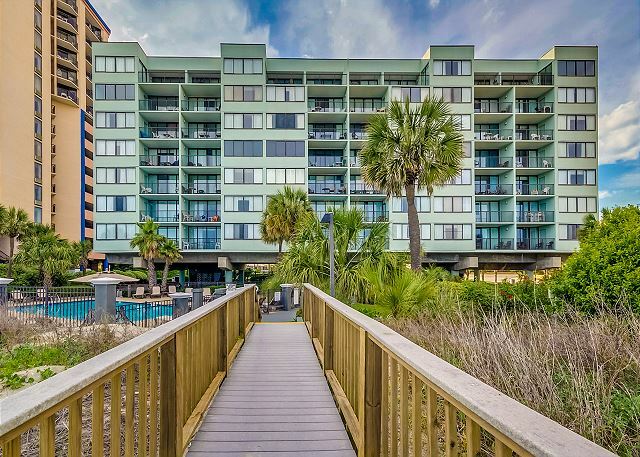 The unit is the prettiest we have stayed in EVER at Myrtle Beach. I have been coming to the beach for 50 years and with my husband and family for 25. The unit was spotless and so well equipped. The decorations and furniture is quality and elegant but still has that "beach vacation " feel. We are already planning a May long weekend and will be reserving the same unit again soon. 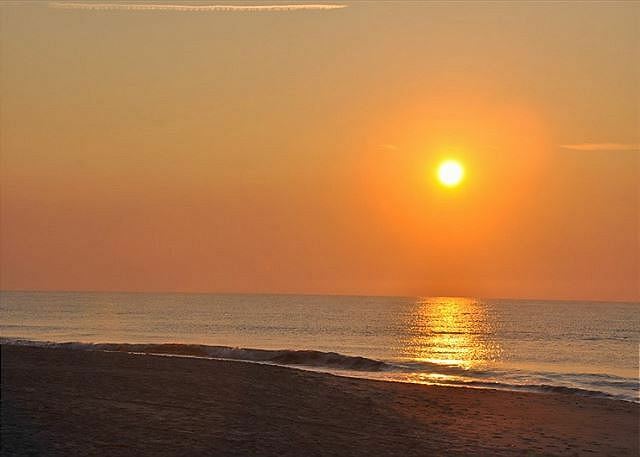 I have stayed at Carolina Dunes for more than 20 years and Unit 504 is the best I have experienced. We had a wonderful long weekend! Sun, sand, food ....loved the new Rip Tydz restaurant too. We loved the unit. It was clean and fully stocked. The view was beautiful and the pool was gorgeous! Coming home was hard!! The place is clean and is in a good location. We found it to be very quiet there our whole stay. No isssues with loud guests. 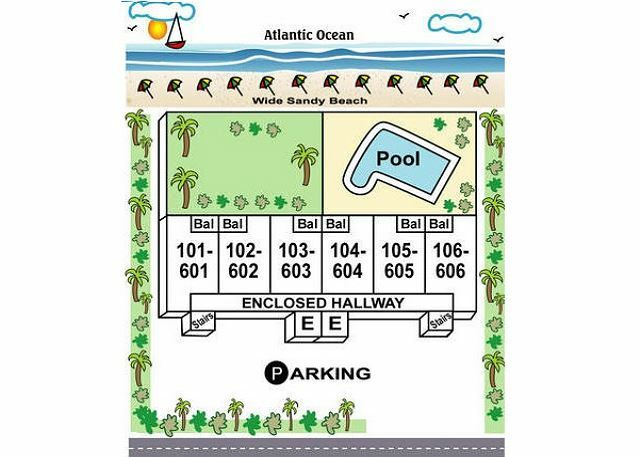 It’s right on the beach and the pool is great. 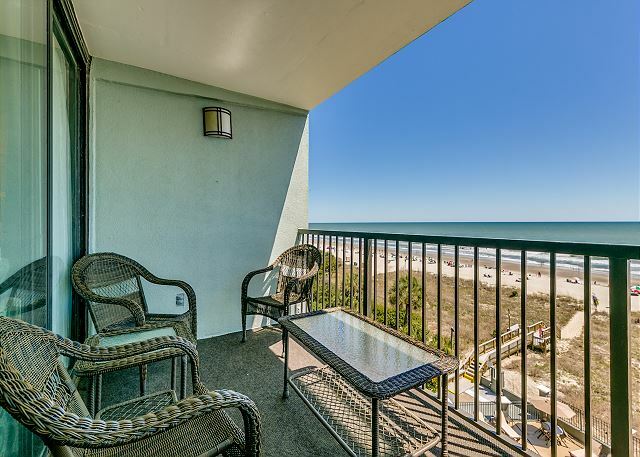 If we go back to Myrtle beach we would want to rent this unit again. All the pictures are accurate. 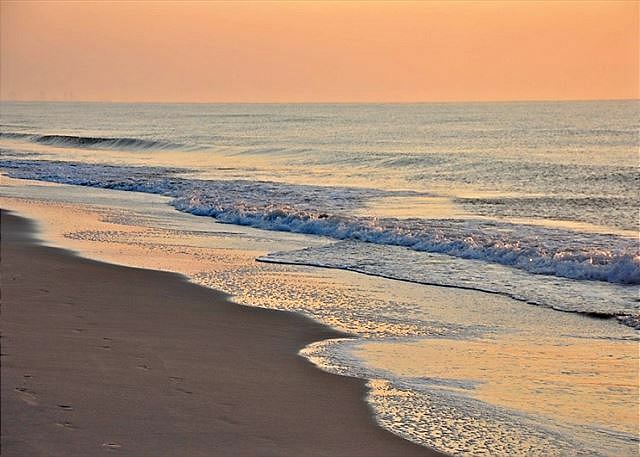 I would recommend Carolina Dunes "504"! 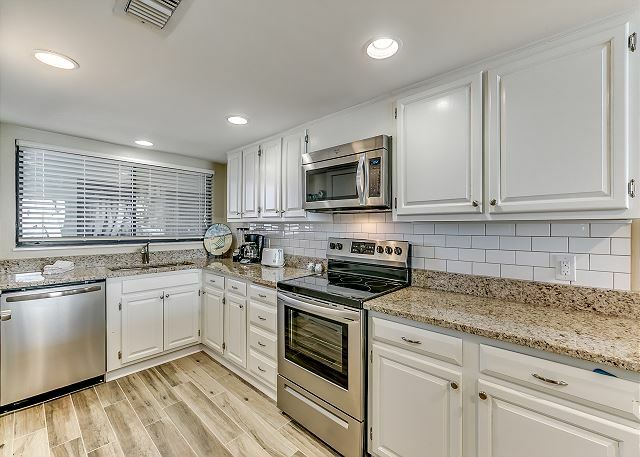 The pictures accurately reflect the condition of the condo. It lived up to all our expectations. It was our first time in Myrtle Beach, and we will definitely come back and stay in unit "504". 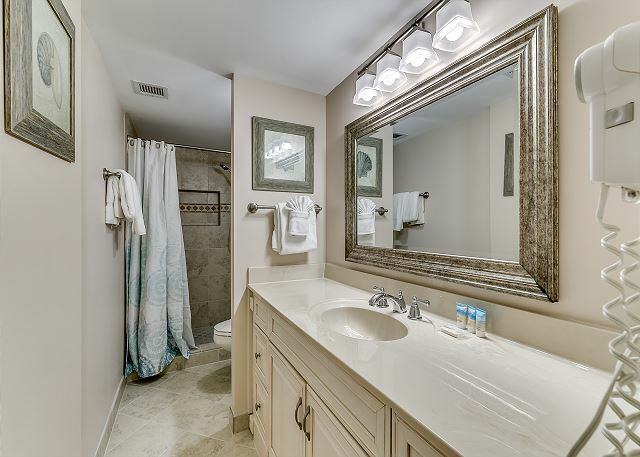 This property was chosen based on the description, photos and availability. 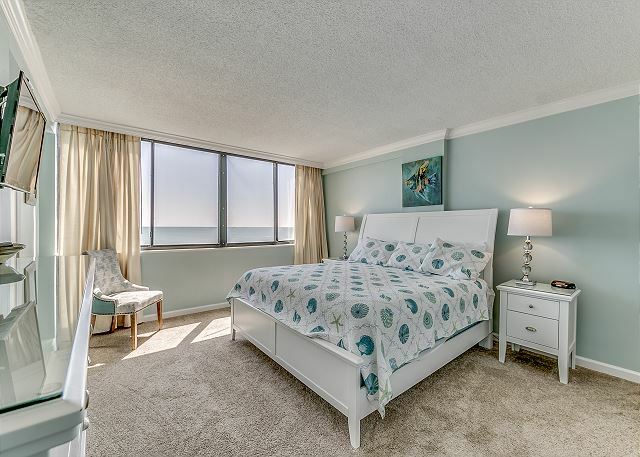 We were surprised to find the property as good as the description, rare for beachside condo rentals. The unit appeared recently updated and was equipped with all the "beach toys" needed. Beautiful, comfortable unit, will stay here on next trip to MB, if available. 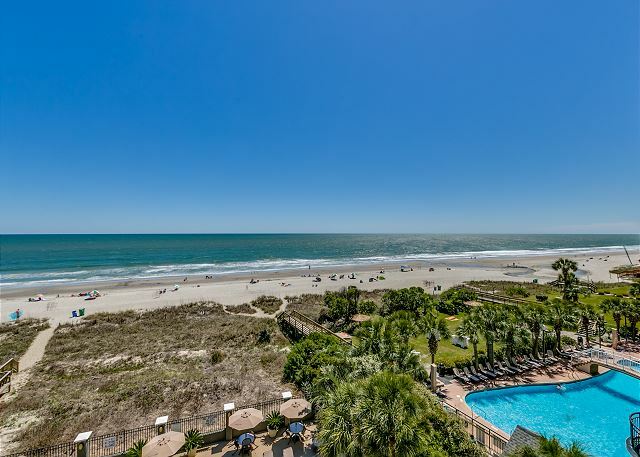 Perfect spring getaway to Myrtle Beach! Carolina Dunes 504 was beyond our expectations. 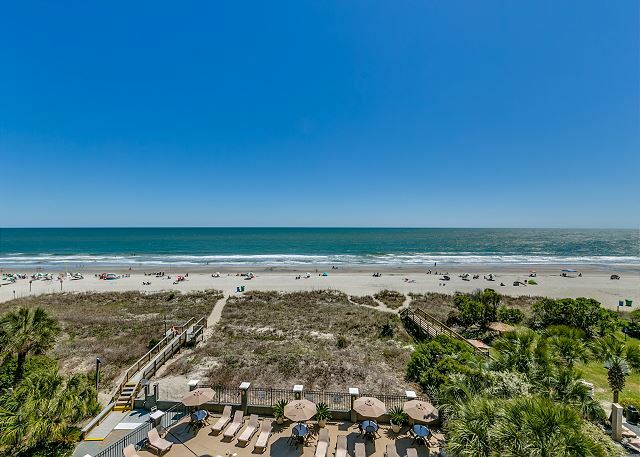 The location is perfect with direct access to the beach and a gorgeous view. The condo was immaculate and had all the amenities. We had two teenage girls with us, and if you know how teenage girls can be....well, they can be hard to please. The loved their room, the beach, the pool, and the great meals we were able to cook in the condo or out to a local restaurant. Definitely will be looking to book again! Excellent location, good and clean unit conditions, we had a great time there! 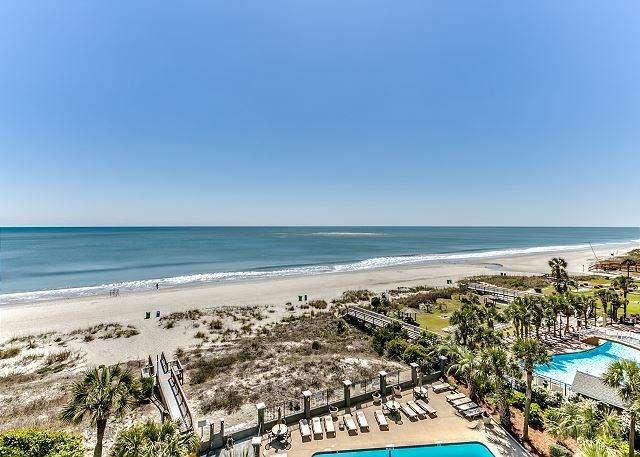 Rented this unit because of a wedding being held on the beach. The condo was very clean, nicely appointed and comfortable. The move in list stayed no soap, hair products, blow dryer, sink detergent and trash bags and one roll of toilet paper per bathroom or paper towel. This particular unit had soap and hair products which was nice I brought all the items listed thank goodness. The only negative issues where one bathroom had barely any toilet paper on the roll and the sheets in the master bedroom had a few stains on the fitted sheet. Looked like possibly an iron print or shoe scuff. One other thing is check out is 10:00am. It should at least be 11:00. Our stay was wonderful. 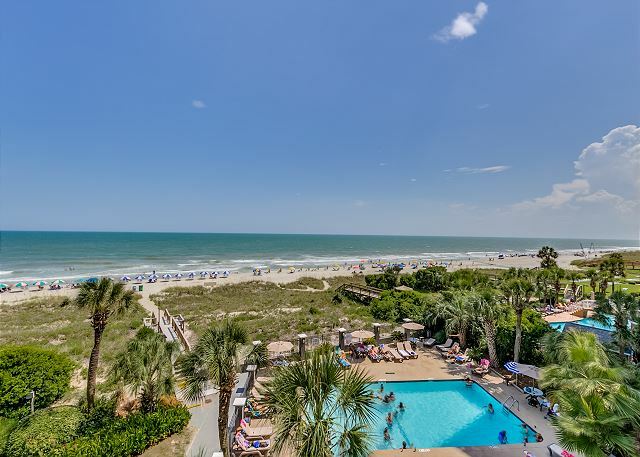 One of the best condos we've ever stayed in while visiting Myrtle Beach. Check in was easy and the condo was very clean and looked as it did in the on line photos. Had message from rental company giving directions if any issues noted during our stay. The staff working were very attentive to keeping the building and surrounding area neat and clean,hard working...nice and friendly too! Excellent! Loved Unit 504 and would certainly rent again. We had a great week! We had a great stay in room 504. It's beachy decorated, had plenty of room, was clean and quite comfortable. We will definitely be back. This is the second time that we stayed in this condo. Both times were equally enjoyable with no complaints. We had a wonderful time! 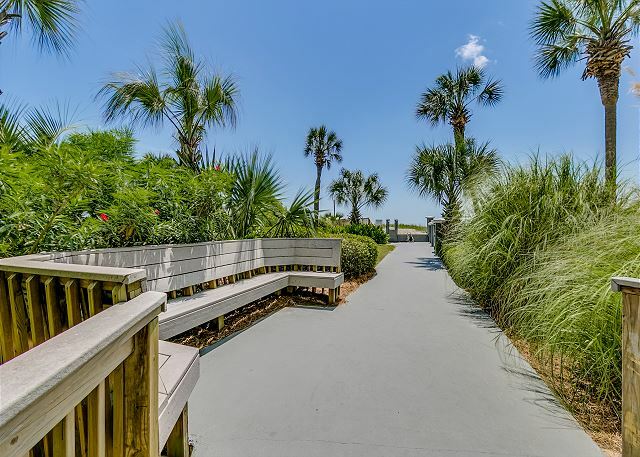 When we first arrived, we were dubious as to the age appearance of Carolina Dunes, (however the landscaping was lovely). But we were pleasantly surprised upon entering the unit. It was lovely and we felt right at home there. My husband and I had a great time. We loved the condo it was beautiful. Will definitely stay there again. Loved the condo! Beautiful view! Central location. Great location, great condo, very clean... will stay again! Our vacation at the beach was wonderful and would recommend this site to all!???? I rented this condo with three friends and we loved it. 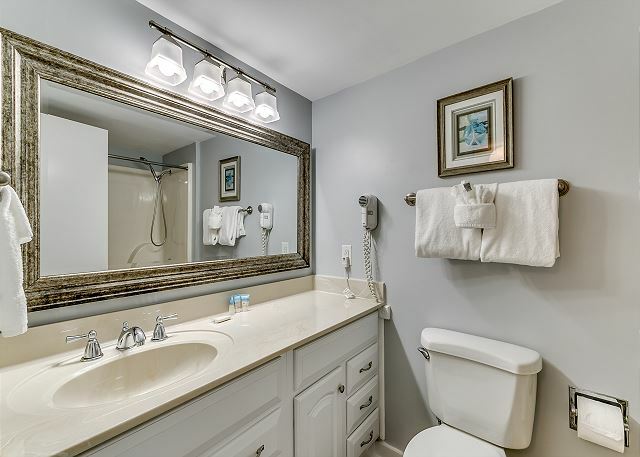 It was exactly as pictured, tastefully decorated, very clean and had plenty of room. It had everything we needed, including hairdryers and beach chairs! We also enjoyed access to the tiki bar, lazy river, heated pool and convenience shop at the resort right next door. The best part was being able to sit on the balcony with coffee in the morning to the beautiful, relaxing view of the ocean. The only downside would be that it was a little noisy in the front bedroom because we were right by the elevator, and we had to have the cable boxes reset, but the management company came right out and took care of that. Overall, we had a lovely stay and all agreed that we would check on the availability of this condo fist if we are ever lucky enough to be able to return! We had a great time staying in this condo. It was nicely decorated and the kitchen had everything we needed. The best part was sitting on the balcony, drinking coffee and watching the dolphins swim by. I hope we come back soon! 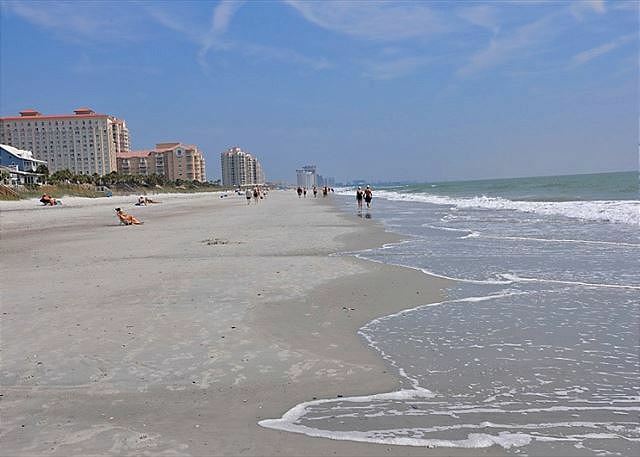 This was our first time staying in Myrtle Beach and we just loved the condo and area! Waking up and seeing the ocean first thing in the morning was such a treat! Hoping to come back next summer! Relaxation with a fantastic view! The unjit has a great kitchen, very large bedrooms and was very clean. Great rental for seniors or families. On the beach in a quiet area. Our family had a great time staying here. Everything was so well maintained and clean! The condo itself is very nice and the views are amazing! Hope we can make it back soon! We had a wonderful vacation in this condo with two adults and our four kids. The views are incredible and the place is so well updated / maintained. The management company was also great to deal with! Carolina Dunes was an awesome place to stay for my family getaway. 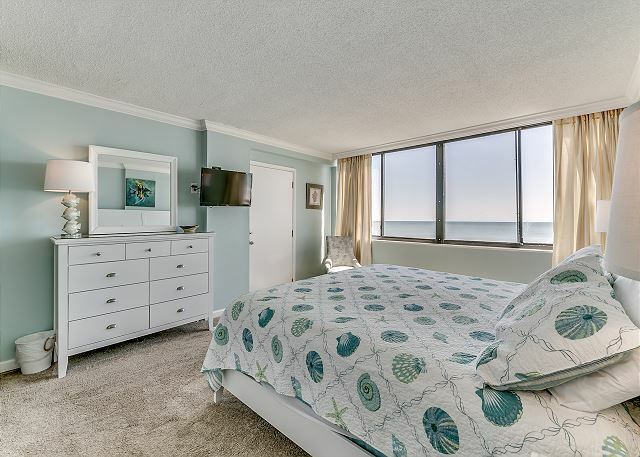 The condo was beautiful and clean with an amazing oceanview. Being an oceanfront property made relaxing and sleeping a breeze because you can hear the waves crashing in the ocean!! My family and I spent the time away to bond and it was very easy because the owner provided the room with games and we had very little distractions being away from the Myrtle Beach strip. Also when we went to the ocean, we didn't have to worry about paying fees for lounge chairs because those were provided as well!! 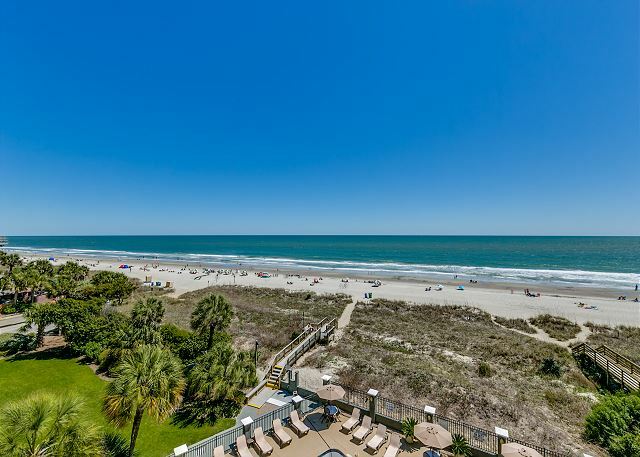 I would definitely recommend this property to any family wanting a nice vacation away from the noise and busy area of the Myrtle Beach strip. We will definitely be staying here again! !